After the visit to Batu Caves, we rode the train back to the city to marvel at the biggest landmark in Kuala Lumpur. 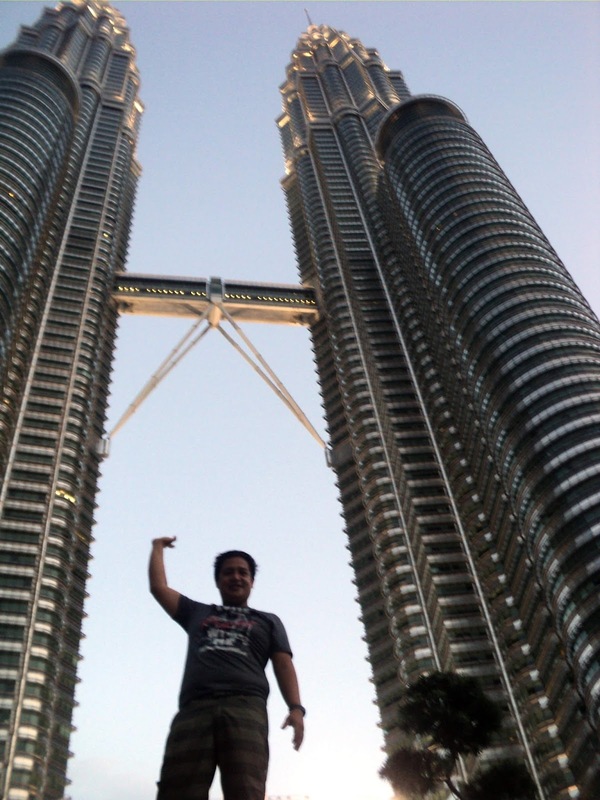 The Petronas Towers, or the Petronas Twin Towers are twin skyscrapers in Kuala Lumpur, Malaysia which were the tallest buildings in the world from 1998 to 2004 and still remain as the tallest twin towers in the world. 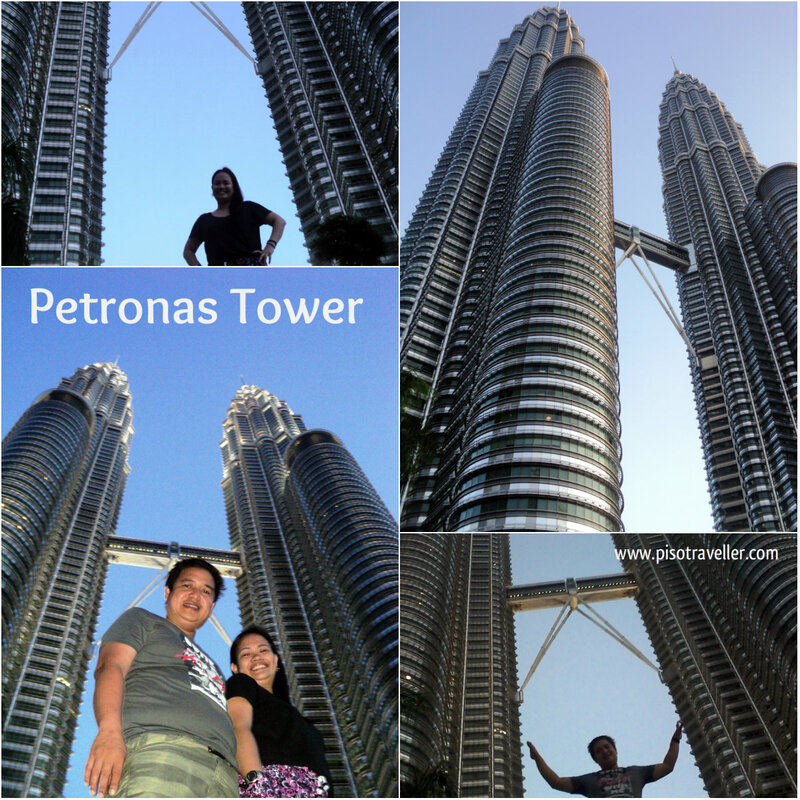 But we only marveled from below, as we did not want to pay the RM85 fee from the view deck! It was a beautiful, sight to behold. There were so many tourists like us just trying to get a good angle of the towers, and some are just sitting or laying down on the garden in front of the towers. The construction of the towers started in 2002 and was opened in 2009. 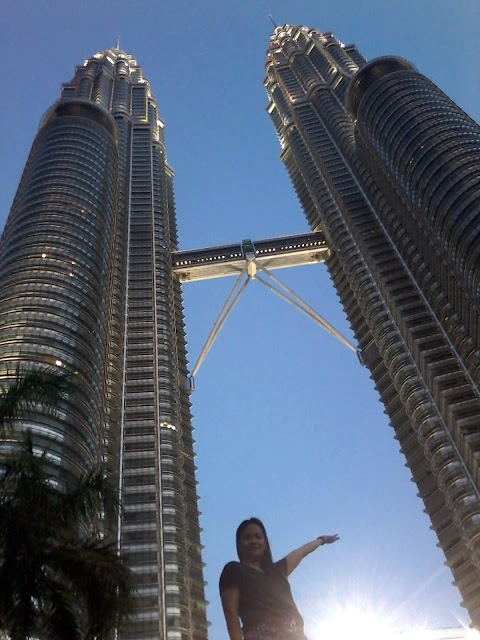 There are 88 floors, and the towers stood 452 meters above sea level. The Petronas Towers were the tallest in the world for six years, until Taipei 101 was completed in 2004.